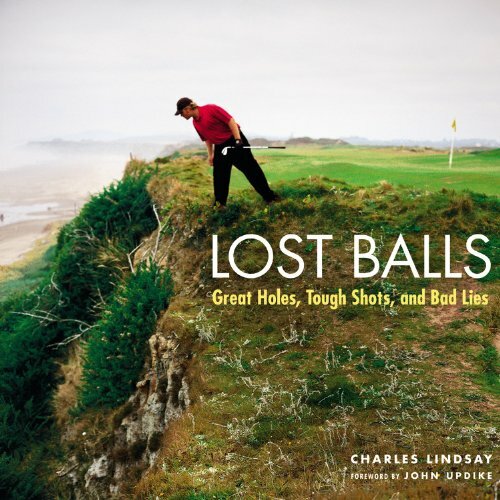 Charles Lindsay's photographs offer a humorous and inquisitive foray into the hazards where golf balls are lost-rough, woods, bunkers, and wetlands-as well as unexpected encounters with wildlife on and off the green. An avid golfer with plenty of experience losing balls, Lindsay photographs his way to the heart of the game with a light touch and an eye for telling details. In the process, he discovers balls ravaged by golfers, gators, and foxes-and lost for over a century. Lindsay even encounters what is believed to be the world's oldest golf ball-unearthed in a cellar in the Netherlands alongside a primitive club. The photographs were taken at celebrated courses in North America, England, Scotland, and Ireland: Pebble Beach, Bandon Dunes, Bethpage, Fossil Trace, Troon, St. Andrews, Royal St. Georges, Ballybunion, Old Head, and many others. The foreword by John Updike is a celebration of golf and nature and where the two meet. A humorous story by golf giant Greg Norman rounds out the book. Charles Lindsay is the author of several books of photography. His work has appeared in numerous publications and has been profiled on NPR and CNN International. He lives in New York City and in the Catskills.